I love this frame. I used it for a picture of Lady and me. 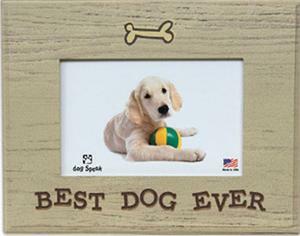 This is a wood frame made with a means on the back for a choice of placement. The frame is light brown with dark brown accents and lettering. 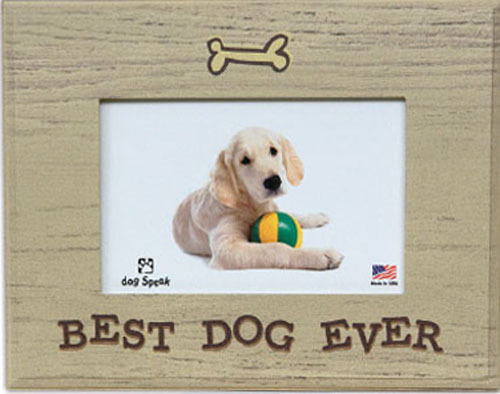 Made to hold the picture of our "Best Dog". Background color is a light brown. Can be used with the hanger or stand on back. Size is 6 inches by 8 inches.